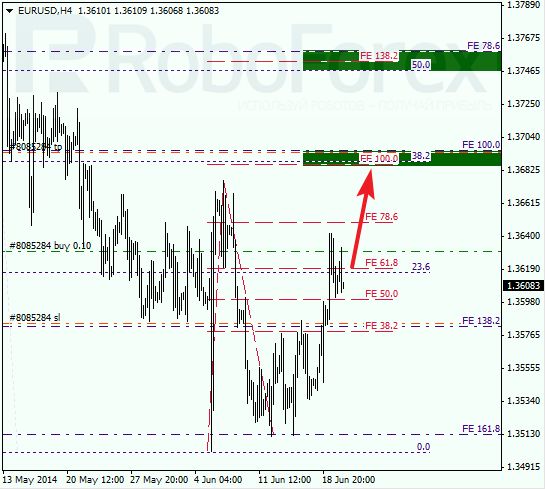 At H1 chart, correctional move is trying to find support on 38.2% (1.3603). As market is trading inside timing Fibo-zone, growth can be resumed as the day develops. USDCHF is continuing to move in correctional phase. 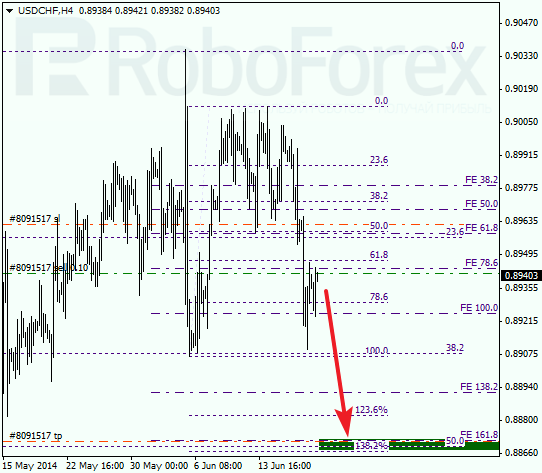 Low can be broken out inside of this day, target for this move is located near area 0.8870 – 0.8865. Eventually, price can pull back from those levels and resume uptrend. 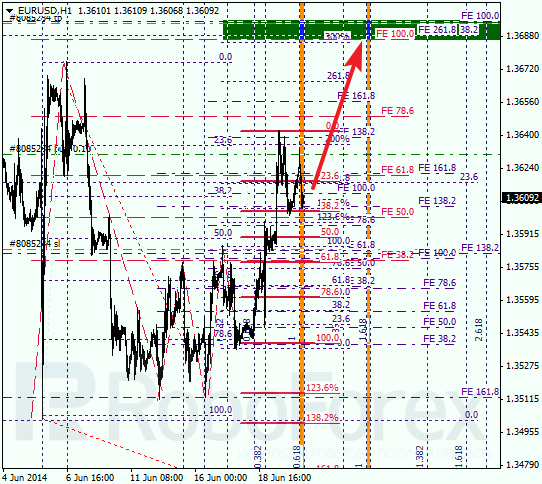 At H1 chart market is trading at 38.2% inside of Fibo timing zone. Probably, very soon price will pull back from current levels and resume downtrend.